Athiya was born on November 5, 1992, in Mumbai, Maharashtra, India. Sooraj Pancholi (2015) – Athiya was romantically linked with actor Sooraj Pancholi after they worked in Hindi film Hero. Arjun Kapoor (2016) – In 2016, Arjun Kapoor and Athiya were reportedly said to be dating when they were seen kissing each other in a famous nightclub in Mumbai. But, nothing came out from it. Aditya Bhandari (2016) – Athiya and Aditya Bhandari were romantically linked for more than three years. They had on-and-off kind of relationship and it was reported that she ended her relationship with him in 2016. 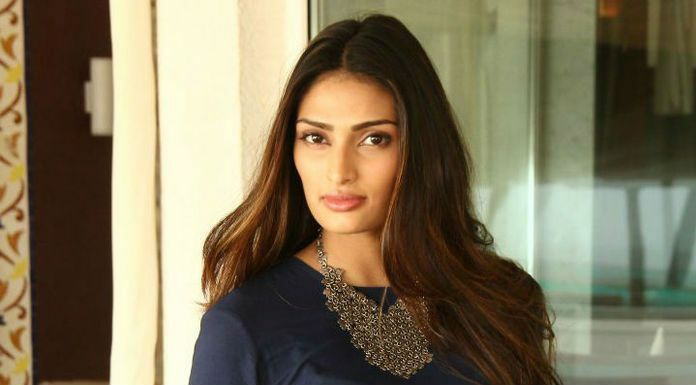 According to media reports, Athiya Shetty has a net worth of around US$2 million. Her net worth raked in after her debut film which made her the most notable artist in the entertainment industry. She has amassed quite a large amount of money from endorsements and movie appearances. She lives in an ultra-uber house in Mumbai along with her parents. She unravelled that her destination is the entertainment industry while still in the teenage and shifted her focus on acting. Shetty moved to New York City and attended New York Academy to study acting. She is trained in Mixed Martial Arts by master Shifuji Shaurya Bhardwaj. Her debut film Hero didn’t do well at the box office but earned her a Dadasaheb Phalke Excellence Award and a Filmfare award nomination in Best Female Debut category. Following her film debut, she was named the brand ambassador for the Indian franchise of Maybelline New York and featured in the Indian edition of high-profile magazine covers such as Cosmopolitan, Verve, Harper’s Bazaar amongst others.